Marketing Archives - Page 2 of 199 - Marketing & Brand Strategy. Steve Poppe, Founder. As a kid who grew up in the ad business, I’ve seen a lot of ad craft. Today, as a brand planner it’s hard for me to look at advertising without a jaundiced eye. When I see ink and words and picture, but not strategy, I cringe. Worse when I see an ad with 7 strategies. Who is approving this stuff? The best advice I learned in the ad business was “focus.” There is a research convention in advertising called “Day After Recall Testing,” in which a magazine is sent to a consumer paid to read it. A day later they are called and questioned about the ad content. Most common recall is tied to the pictures; rarely the words. If the words relate to the pictures all the better. It’s a great litmus for effective advertising. Trinet is a smart benefits and HR outsourcing company. Sorry to pick on them again. But I read and expensive ad they published today, delivering what they feel it their brand claim: Incredible. That’s an ad claim, not a brand claim, by the way. The ad suffers from the “fruit cocktail effect” in that it is pushing 6 corporate good-ats: Expertise (oy), Access, Benefits, Guidance, Technology and Freedom. All under the “Incredible” umbrella. James Joyce would be proud. If this ad campaign is not done in-house I’d be surprised. If done by an agency, I’d be ashamed. Smart marketing starts with a smart, actionable, endemic brand strategy. A brand strategy brief, at its very best, is a story. A story with beginning, middle and end. Like good entertainment it contains a problem, solution(s), tension and resolution. Most importantly, it needs to appeal to the reader/viewer (aka the consumer) in order to take hold. I write brand briefs for a living. In each and every one, the story has to flow. If the flow is interrupted by some structural anomaly, the brief will confuse. The money part of the brief is the finish — the claim and proof array. (Once claim, three proof planks.) It is the organizing principle for product, experience and messaging. If the claim does not fit the rest of the story like a glove, something is wrong with the story. The brand brief story is written for the brand marketing lead. Once the claim and proof array are approved, and immutable, the brief is just a tool for brand managers and agents. Then the storytelling or as Co:Collective calls it Story Doing, is in the hands of the marketing team and creative people. And I am on the my next assignment. In branding the brand brief is the greatest story ever told. The other day I was looking at What’s The Idea? 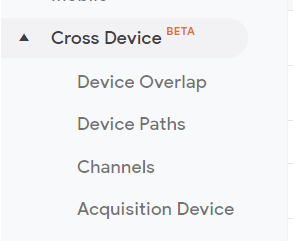 blog metrics on Google Analytics and lo and behold did I see a Beta test for what Google calls “Cross Device” measures. Sub-topics include: Device Overlap, Device Paths, Channels and Acquisition Device. Talk about proof of concept! When I began thinking about Twitchpoint Planning I shared the preso with Joshua Spanier, senior marketing director Google Media. He registered a few degrees above lukewarm. Cause and effect? Who knew. Psychic unity? Probably. Either way, bravo Google. You will make millions. And the planners will make thousand. For the marketers…the sky’s the limit. I wanted to flame a senior care organization my mom spent time in and was looking for a Yelp or Google kind of comments page in the senior care space. I found something called Senior Advisor, who baited me with a couple of comments then, in order to get to the 4th review, requested my name and tel. number. Almost before I finished typing the form, the phone rang. I kid you not. It was someone from Senior Advisor. I asked if they were that fast and she said, yes. “Some of our seniors need help right away.” Nice response. This in not artificial intelligence (AI), but it’s pretty darn impressive. And intrusive. And scary. I can’t get my email to send instantaneously and this lady was dogging me about my mom is nanoseconds. Privacy isn’t just about spam and selling lists, it’s about decency. I loathe robo calls from unsolicited vendors. I don’t much like door-knockers. Email spam I can live with, so long as there is a way to unsub. Smart brands and smart marketers understand annoyance. No brand wants to be annoying. So why is there so much of it? In my career as a planner, I have trotted out two different Steve’s when interviewing people in discovery. The first is the “I’m a quick study” Steve. This Steve wants interviewees to know he’s savvy in the business, the market and the category. I wouldn’t call him cocksure, but an air of self-assuredness is the goal. 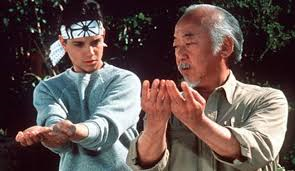 The second Steve is the “Help me, help me, Steve.” He plays grasshopper to the interviewee’s Mr. Miyagi. Not in an obsequious way but as someone in need of intense category nourishment. There are times and places for both, E.g., when interviewing a subject matter expert (SME), they want to know you can understand them. But for the most part I tend to use the “help me” Steve. More so as my planning experience grows. We humans are a helping and nurturing clan. And people tend to be more open when they are helping. It’s always best to have your interviewee be the smart one. Our mission is to extract learning, attitudes and values. Open the faucet and let insights pour forth. Half duplex ego is the goal. So it looks like the best player in college basketball this year may well be a young man named Zion Williamson. Want to know why I say that? Because he is more talented than his peers and I can remember his name. And you name can’t be remember, you are lost. If Zion’s name was Bobby, it would take some time to establish himself. If Lebron’s name was Lewis, it would also have taken more time to develop his brand. Beyond being blessed with wonder balling talent these two gents have great names. Now you can make a case that Michael Jordan didn’t have a Magic name. And that would be accurate. He was another freak. But MJ was no overnight success, Not like Zion. In today’s social media world the path to greatness is enhanced by good game, a unique name, and a memorable name. Bol Bol is unique and memorable, for instance. Game? Not yet. Go to YouTube and type the letter “Z.” Not much happens. Now add an “I.” Bam! Number two in the results. This is a kid who has now played in only one college basketball game. Zion Williamson. A legend in the making. Naming is not an underrated component of branding. I’ve done a good deal of work in healthcare and one brand strategy challenge is working with what might be termed faith-based organizations. I’ve worked with Jews, Catholics, and Lutherans. This morning I was reading about a brand name change for Adventists (The Seventh Day Adventist Church). Park Ridge Health is taking on the name of parent AdventHealth. The challenge is how do you turn this important value into something meaningful for patients. The Catholic Health System of Long Island and Bon Secours Charity Health System are devout. Many Catholic health orgs. do not perform abortions or treat addiction. For some that is comforting, for others not so much. Also comforting is displaying religious iconography in the halls and on the walls. But dialing up the science isn’t a bad brand value goal either. “Hope is unfortunately a terrible marketing plan” is a lovely quote from Nancy Johnson, of the North Dakota Soy Bean Growers Association. Another terrible marketing plan is “stasis” — taking out last year’s marketing plan and adjusting the line items for inflation. A marketing plan needs to move to stay alive. Just like sharks. Hope springs eternal, but marketing is about control. Controlling the product or service. Controlling the price. The distribution. And the promotion. If you are not monitoring and affecting all four annually, you are living in Hopesville. I would also add to that, if you are not tracking all four Ps (product, place, price and promotion) vis a vis a brand strategy, you are skiing in untracked snow without a destination. You are skiing yes. But you are not organized in your efforts. If you’d like to see where your brand tracks are leading, take me up on my Brand Strategy Tarot Cards offer. My branding practice owes a tip-of-the-hat to politics. I borrowed the word planks from politics, incorporating them into my framework. At What’s The Idea?, brand strategy comprises “one claim and three proof planks.” Organizing brand value around three proof areas focuses content makers and the consumer minds — the rule of three. Rhyming always helps with memorability. Brain glue refers to the creative quotient. Do you want to remember it? Framing speaks to positioning and clarity of purpose. And contrast is all about differentiation and uniqueness. Much work today, brand and content-wise, does not differentiate. If you hit all three of these strategy qualities, you have a good meme. Brand planners, much can be learned from this cartoonist’s advice. The short answer is about 45 minutes. The long answer is maybe 100 hours. Someone once asked Picasso how could he charge tens of thousands of dollars for a sketch that took him only 10 minutes to draw. His response was “That sketch took me a lifetime to draw.” I paraphrase. I’m no Picasso. Plus any cache in the brain, save some technique and linguistic phrasing, stays in the brain. Every brand brief is a like snow flake. Each brand brief is built from scratch; leaning heavily on customer care-abouts and brand good-ats. All that information takes time to amass. I’ve taken months to write a brand brief. I’ve taken weeks. In some cases multivariate statistical analyses were used. And slopes were plotted. Findings clustered. Interviews by the hundreds. Others have been developed on a shoe-string. On most proposals I say it takes a month to write a brand strategy brief. Now, to the next question: How long is a piece of string?